When students return to school this autumn, those starting into the IB Diploma Program are going to be entering a brave new world. 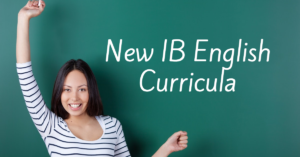 The IB curriculum has been restructured starting in the 2019 school year because it’s good to keep up with changing times. While the whole curriculum is changing, here are seven things specifically about the English Language A changes for you to be aware of. BE AWARE! These changes take effect for students starting the DP in Autumn 2019. Students graduating in 2020 will remain on the old curriculum. For many students, English as a subject doesn’t seem to relate to everyday life. Robert Frost’s poetry may be lovely, dark, and deep, but it’s all very abstract. The new IB English looks to challenge that idea. No longer will students study English in four distinct parts; instead, they will be looking at language and literature as it relates more closely to our individual lives as well as local and global communities. This focus on the everyday impact of English as both a tool and an art form helps present the value of the subject. Ever since the introduction of Language & Literature courses nearly ten years ago, students have been debating whether they’re easier or harder than the usual Literature courses. The IB has listened and decided to end the debate by reducing the differences between the two. 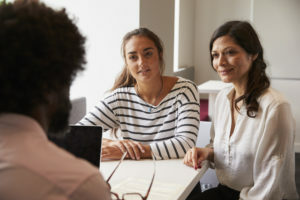 Although Language & Literature still focuses on a wider variety of text types, the assessments, course structures, and philosophies are much more in-tune with one another. Perhaps the strongest sign of this is the new Paper 2, which will give the same set of questions to both Literature and Language & Literature students. One of the biggest changes is the reorganization of IB approved texts. As part of the new alignment between Lit and Lang-Lit, the new curriculum uses the same distinctions between text types for both courses: fiction, poetry, drama, and nonfiction. The list of approved works has also been rebuilt to now be a list of writers. Almost anything an approved writer has written may be studied, so people like essayist, poet, and novelist Margaret Atwood become much more prominent. Also more prominent are songwriters (such a Kendrick Lamar) and graphic novels (such as Maus). Many of the old classics, like Tennessee Williams and Chinua Achebe, have also been scrapped to focus on a greater range of diverse, lesser-known voices. English students in the IB previously had to contend with Paper 1, Paper 2, IOCs, IOPs, FOAs, WTs, WAs, and other dangerous acronyms. Now, students face at most four assessments: Paper 1, Paper 2, the Individual Oral, and the HL Essay. There is also a Learning Portfolio, but that’s not externally assessed, and we’ll look at it later. Paper 1 and Paper 2 haven’t changed a great deal; Paper 1 is still an evaluation of a text or texts students haven’t seen before, and Paper 2 is still a deep dive into texts students (should) have spent months studying. The other two, however, are new. The Individual Oral is a prepared speech similar to the old IOC. Students will give a speech for 10-15 minutes on two texts they have studied, addressing a larger global issue such as environmentalism, gender politics, or the internet. Higher Level students also have to write the HL essay, which is a 1200-1500 word essay analyzing a studied text. That’s it! Also, these two new assessments don’t have specific schedules—schools may assign them at any point during the two years of the Diploma Program. The other assignment students have—the one that isn’t externally assessed—is the Learner Portfolio. 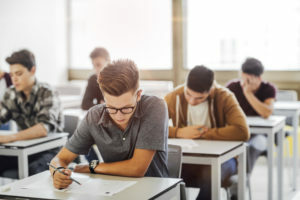 The new slate of assessments doesn’t provide opportunities for individual, creative expression and may not fully depict a student’s growth through his or her studies. The Learner Portfolio addresses this question. It is essentially a scrapbook of assignments that students have completed during their two years of study. It may include essay drafts, creative assignments, peer feedback, personal reflections, or any of countless other assignments that teachers may come up with. This really helps bring the subject of English into a more familiar and personal light. Another aspect of the new curriculum designed to help students recognize the personal value of studying English is that students—not teachers—decide which texts they want to use for which assessments. The oral, essay, and Paper 2 must all use separate texts (no double-dipping! ), but students decide what goes where. In theory, this fosters individual discovery of the subject as something students discover and learn rather than something teachers present and teach. It also means that, if they want to make a properly informed decision and get the most out of their studies, students should read their assigned texts as early as possible and start laying out their plans! The new curriculum goes into effect this autumn, and teachers are learning about most of these changes now. Expect there to be some teething troubles! Questions still remain about a lot of issues: how will the new assessment structure influence predicted grades? What will students who transfer between schools have to do? Will this all work? Everyone—students, parents, teachers, administrators, and tutors—will have to adapt to the new system, and there will be some issues along the way. It’s more important than ever, then, to keep lines of communication open, so that everyone can work towards helping students out. The official IB website has some more information about the changes, or feel free to contact The Edge if you have any questions! The Edge Learning Center is Hong Kong’s premier Test Preparation, Academic Tutoring, and Admissions Consulting services provider. Founded in 2008, The Edge has helped thousands of students improve their ACT and SAT scores as well as their IB and AP grades. The AC team has just finished off another successful period in which student gained early acceptance to schools such as Columbia, MIT, University of Chicago, and more! Check out the rest of our 2018-9 Admissions Results!